ThunderArmor Clean Coat is a revolutionary tarp design that is finished with an acrylic glaze coating. The acrylic glaze coating reduces commodity buildup underneath the tarp and helps reduce cross-contamination between loads. 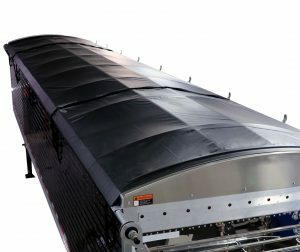 If you are required to washout between loads this tarp makes it faster and easier to clean compared to standard tarp material.